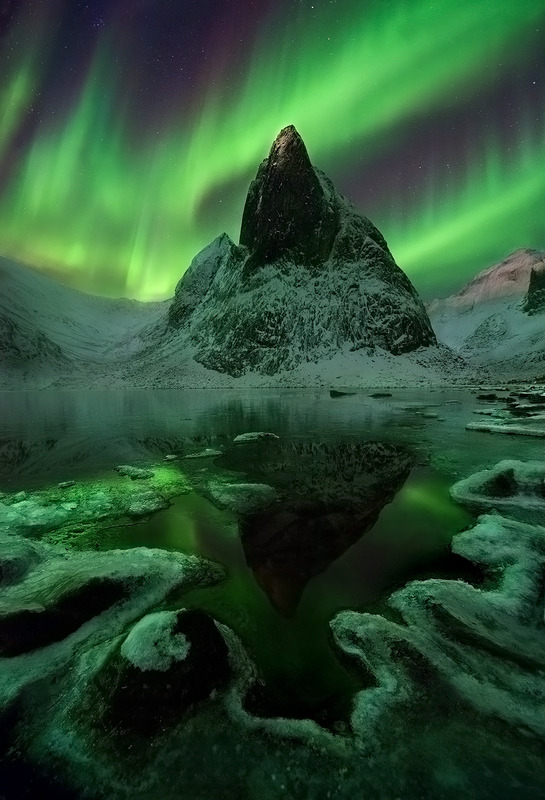 The Aurora display over jagged peaks in the Yukon photographed while I was snowshoe backpacking the Ogilvie Mountains for two weeks in late October. This was taken the first night of the trip and as it happens, the last night where I found open water on this lake. It was rapidly freezing but fortunately I was able to grab some shots of the best part of the overhead show, which lasted only a minute or two out of the five hours I waited here near my camp. Light on the peaks comes from the rising moon.